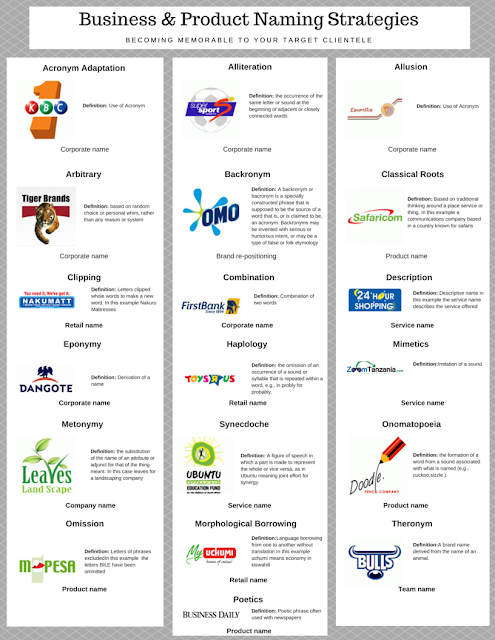 If you are starting your business you will need to name both your company and products. 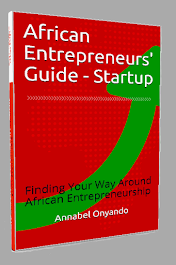 The book African entrepreneurs guide goes into a lot of detail about branding and naming. This table summarises the different naming strategies used by top branding companies in the world.